Rosettes and Close Harmony are auditioned groups which rehearse strictly after school. Auditions take place in May and June. 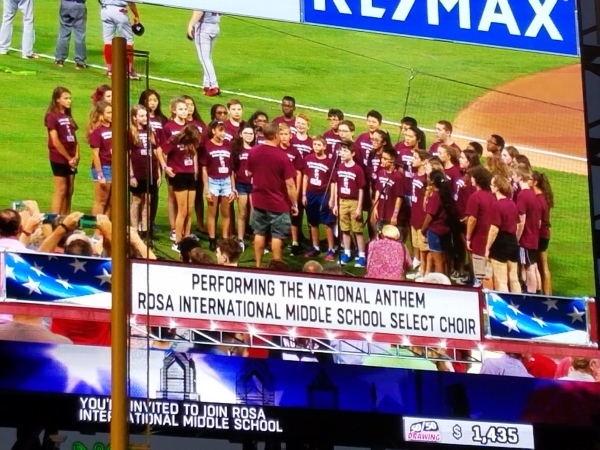 The groups range in size from 16 to 20 members each and include only 7th and 8th grade chorus members. Members of these groups must commit to the after school rehearsals, as they are the only means of learning and coordinating all of the music these groups perform. In order to participate in the Close Harmony (boys) or Rosettes (girls) groups, you must be able to sing in harmony without musical accompaniment. Each of these groups perform at the Winter and Spring Concerts, as well as some extra performances throughout the year. Any questions you may have can be directed to Mr. Graser personally or through email at the link provided above. Questions? Comments? Feel free to conctact us.